Recent accessions to the Royal Commission’s Digital Collections include a series of short video clips of the 2014 exploration of the famous Anglesey wreck by Cotswold Archaeology. The programme of work was undertaken on behalf of Cadw and included a multi-beam echosounder survey which identified small areas of iron wreckage still upstanding on the seabed. The ROYAL CHARTER was a Liverpool-registered steamship built at the Sandycroft Ironworks on the River Dee. In its time, it was a celebrated fast passenger ship sailing a regular service to Australia – each round trip circumnavigating the globe. On its last return trip to Liverpool, it was only a few hours from River Mersey when it was caught in a tremendous storm. 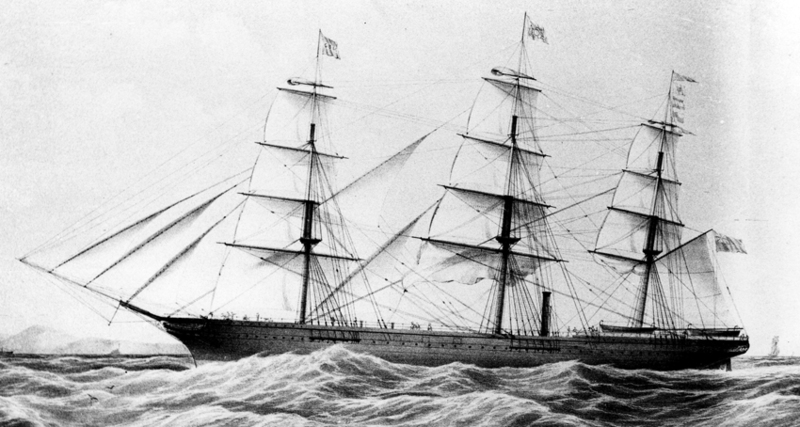 The storm had the strength of a hurricane and eventually drove the ship ashore near Moelfre on Anglesey. In the hours that followed a terrible tragedy unfolded with the vast majority of the passengers (including families with young children) being drowned. A monument stands on the cliff above the site today. Welsh mariners onboard whose lives were lost include Thomas Jones and William Davies of Caernarvon; Griffith Jones, carpenter, and John Rees of Nefyn; William Hughes of Amlwch; Henry Williams of Cemaes; John Jones of Holyhead; and Isaac Griffiths of Moelfre. 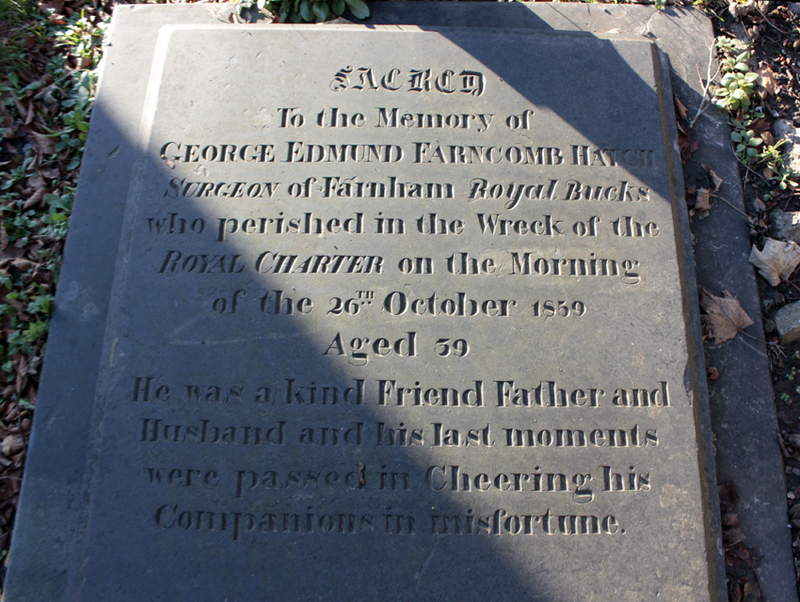 One of the gravestones commemorating victims in St Gallgo’s churchyard. Many of the dead were buried in the graveyard of St Gallgo’s Church, where Reverend Stephen Roose Hughes was the Rector. When Charles Dickens later visited the church, he wrote of the hundreds of letters Reverend Hughes had received inquiring about relatives and friends. The archive service of the State of Victoria, Australia, has recently made available records of passengers arriving and embarking on ships for the port of Melbourne. These records include a list of passengers who were early confirmations for the ROYAL CHARTER’s last voyage. Notable amongst these are individuals and families whose graves can be seen today in the churchyard. A short clip of underwater video and a copy of the last passenger list for the ROYAL CHARTER have been added to the resources created for the Great Storm of 1859 by the Royal Commission on the People’s Collection Wales.